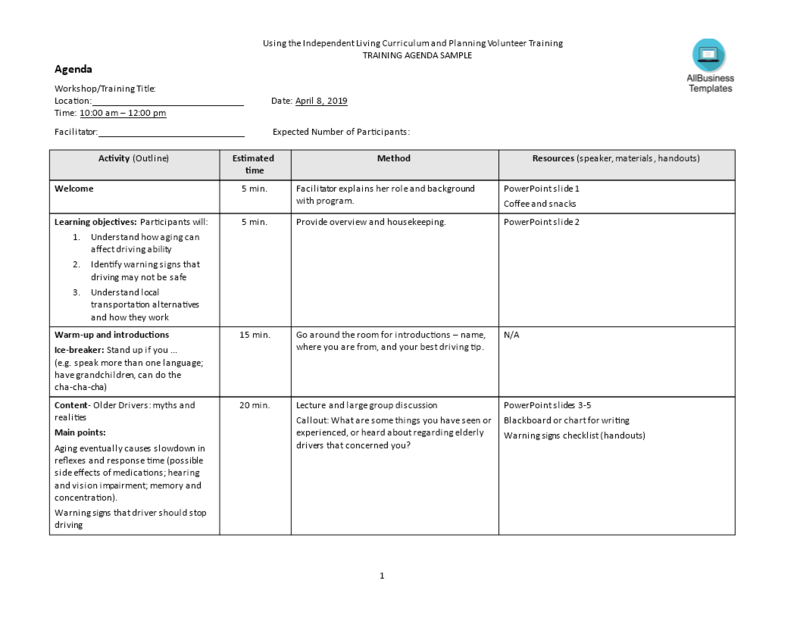 Now we provide this standardized Training Agenda template with text and formatting to help you finish your document faster. If time or quality is of the essence, this ready-made template can help you to save time and to focus on what really matters! Download this Training Agenda template now for your own benefit now!